Caring for your aged father is not easy as you think; especially if you don’t live in the same city. It presents a variety of challenges. We hear of so many cases about children being thrown into the role of elder caregiver due to their parent falling ill, being hospitalized with an injury and needing to be discharged with specialized care. But, this doesn’t have to happen in your case, if you accept the role of professional caregivers, who offer home health care in Massapequa. There are thousands of resources available on the internet and in local communities that are able to assist caregivers of the elderly. Here are some quick tips. Making some changes in the house can save you and your father from lot of troubles. Make sure there are night lights installed at strategic places around the house so that when your father goes to get water at night or to the bathroom, they can find their way around. Remove the cluttered extra furniture around the house, which might make it difficult for your father to move around freely. Install non-skid strips, mats or pads in the toilet, bathtub or shower and other slippery areas of the house. Smoke detectors with strobe lighting or with a vibrate feature can wake up seniors when conventional devices wouldn’t. Ensure all wires and cables are tucked away to prevent slips or falls. Hiring a knowledgeable professional can help your father by being a companion, and help with other personal needs. 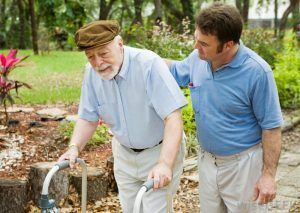 Even the caretaker who offer home healthcare in Nassau County Ny, can take your father to the doctor in case of emergencies.